GoServ Global created this branch to address the many disaster and emergency relief needs within our own home front. We work with local churches and faith based organizations to find families with the greatest need and then offer people, equipment, resources, and the hope of Christ. 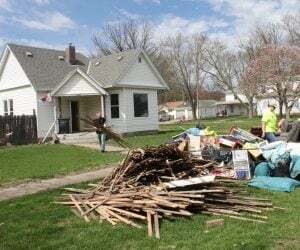 GoServ Global’s Domestic Disaster Relief Team has spent the past several weeks managing volunteers in Hamburg, Iowa, connecting them to homes that need cleanup. 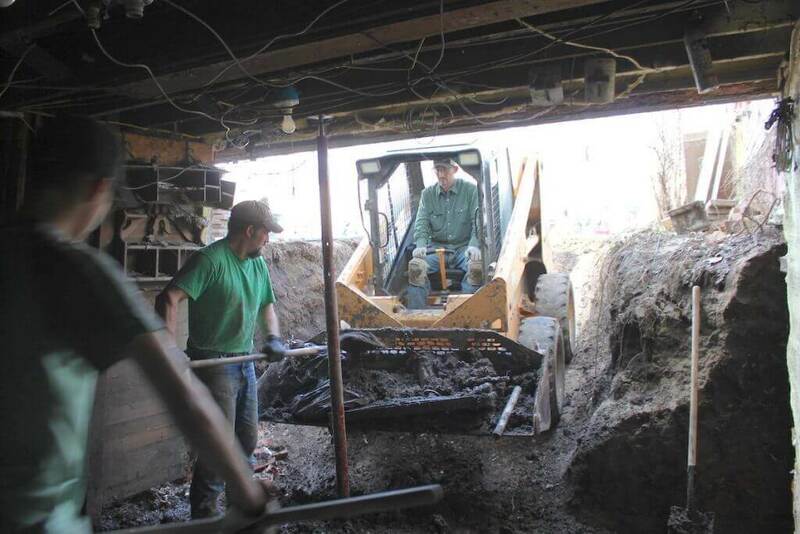 We have gutted numerous homes and hauled out loads of debris like drywall, carpet, etc. 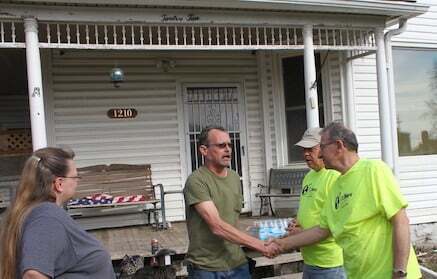 GoServ Global helped gut Terry Pierson’s home, a home he has lived in since 1993. When the levee broke, the Missouri River spilled over into Hamburg, filling Terry’s house with more than 5 feet of water. To read more stories about GoServ Global’s work in Hamburg, visit our blog – https://goservglobal.org/go-serv-blog/. By Donating: https://goservglobal.org/give/ & Choose “Domestic Disaster Relief” in the dropdown. 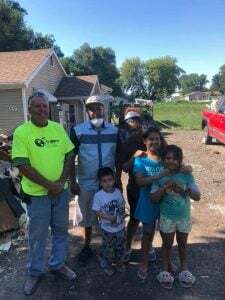 GoServ Global’s Domestic Disaster Relief Teams had a busy summer, serving in Des Moines, Marshalltown, and Albert City after storms hit the areas. 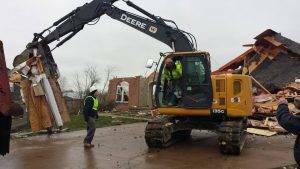 GoServ Global worked with more than 40 families right here in Iowa who were impacted by flooding or a tornado. 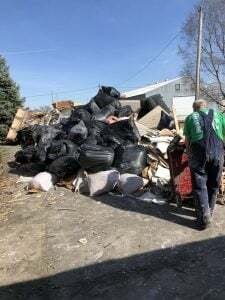 We have gutted basements, carried water-damaged furnishings to the curb, and removed trees that were on top of houses, etc. 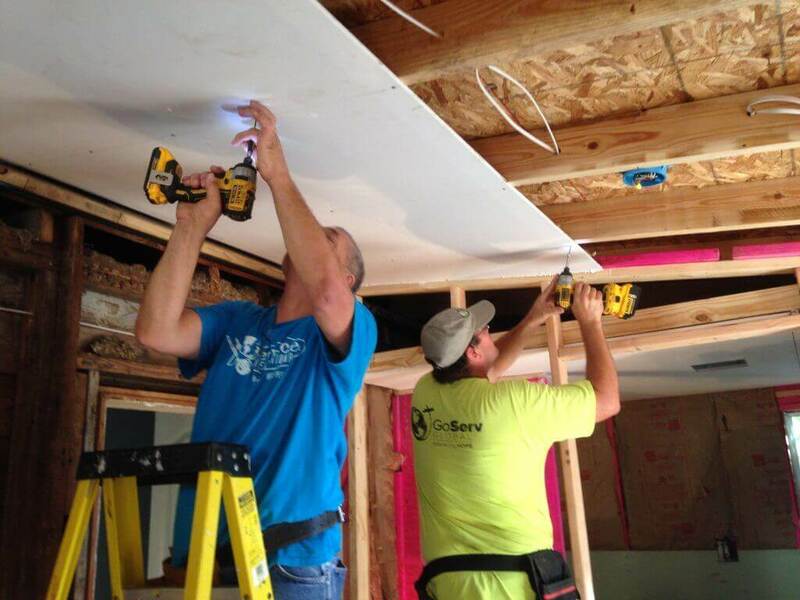 In Des Moines we put up drywall for the Rubio family whose house was flooded with four feet of water, amidst numerous other families. 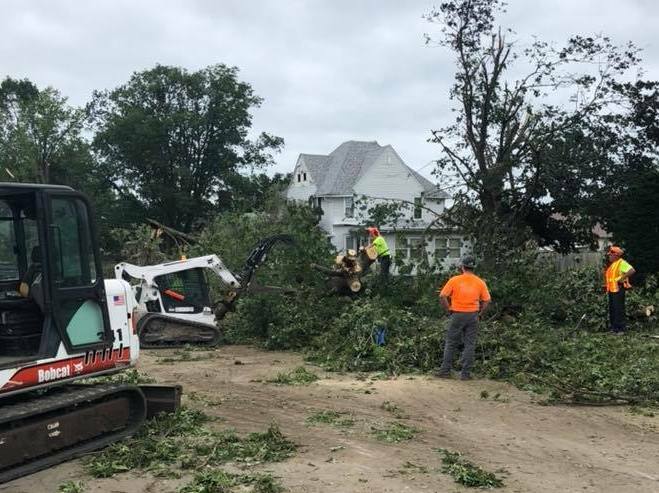 In Marshalltown, GoServ Global spent a lot of time taking down trees damaged in the tornado. One of the highlights during our time there was helping and praying with a couple in their 90’s. GoServ Global also responded to a storm that swept through Albert City with winds up to 80 mph. Several volunteers spent the day cutting and hauling trees. GoServ Global partnered with Service International to provide help to the people of Houston following Hurricane Harvey. We are helping people like Maria (left), a widow whose house filled with 27 inches of water. 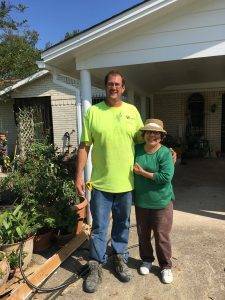 She, like many others, have no flood insurance so GoServ Global came along side her to replace the sheetrock in her home. 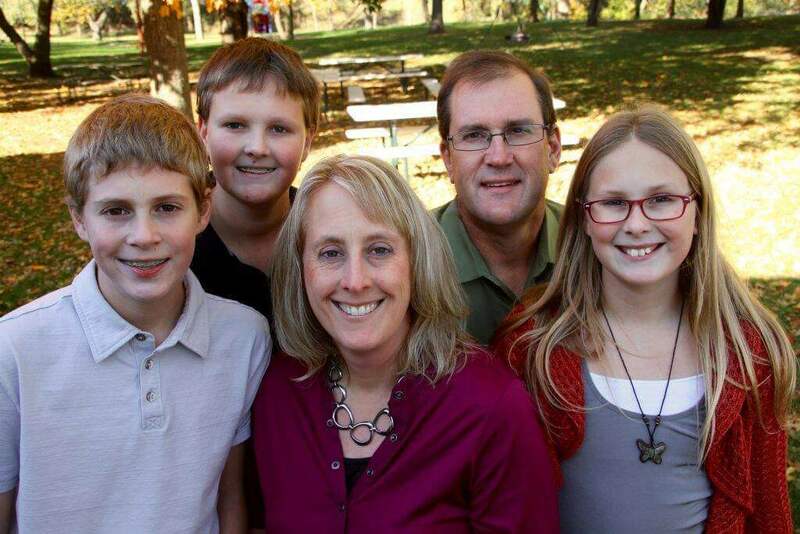 Dennis and Julie Anderson have been the Domestic Directors for GoServ Global since September 2011. In addition to developing and running Domestic GoServ Global, they lead teams to Haiti. Dennis and Julie raise 100% of their faith-based personal support. 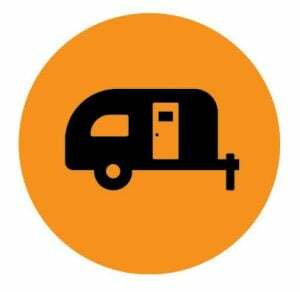 Volunteers will receive email notification of domestic disaster relief opportunities and if able to respond will come for whatever period of time they can.